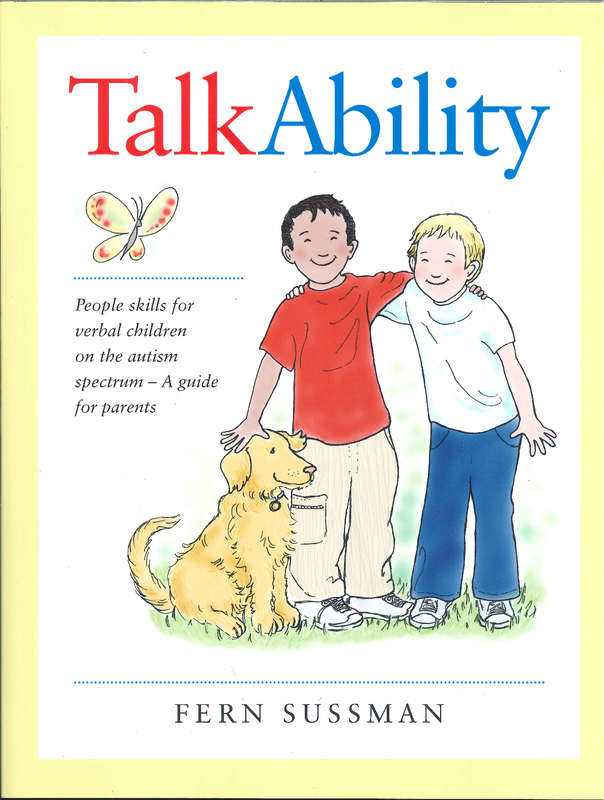 TalkAbility: People Skills for Verbal Children on the Autism Spectrum – A Guide for Parents is the guidebook you’ll use throughout the program to reinforce what you learn and to provide you with fresh new ideas for interacting with your child to improve his skills. Whether or not they have a diagnosis of autism spectrum disorder, all children continue to develop their social communication skills in their preschool years. Around the age of 3, they use language to talk not only about the present, but about the past and the future, and also to problem solve. Their conversations sound more adult-like: they consider their partner’s interests by making a comment or asking a question about what the other person has said, and they listen to and look at their partner when he or she talks. If you’ve noticed more than one of these difficulties in your child, the TalkAbility Program can help. Specifically designed for parents of verbal children ages 3-7 with social communication difficulties, the TalkAbility Program teaches parents practical ways to help their child learn people skills. By “people skills”, we mean the ability to “tune in” to the thoughts and feelings of others by paying attention to non-verbal cues such as body language, facial expressions, eye gaze, and tone of voice. The ability to consider other points of view and to have empathy for others is essential for successful conversations and for making friends. Children with social communication difficulties require extra help to develop these skills. After completing the program, you can keep coming back to this guidebook for ongoing support as new goals are set. With helpful checklists, the guidebook makes it easy to “zero in” on your child’s current strengths and weakness to figure out where he needs the most help. 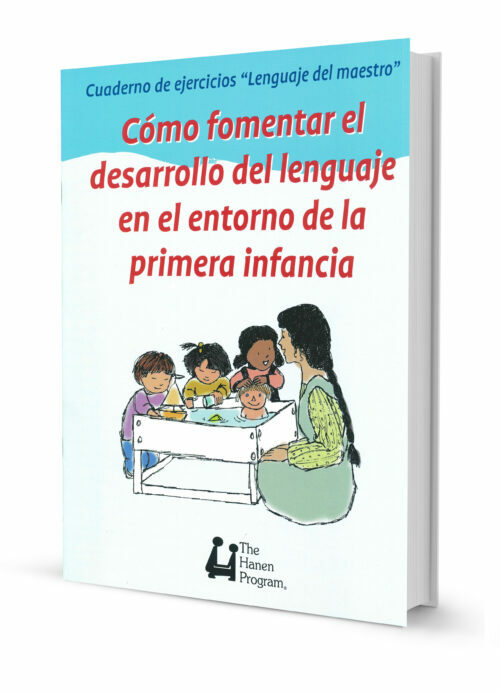 Parents who are waiting to attend a program may purchase the guidebook in advance to give their learning a head start and to gain some practical strategies that they can start using with their child right away. Learn more about the TalkAbility guidebook. Because social skills have to be learned in real-life situations, the TalkAbility Program shows you how to use your natural, day-to-day life with your child to help him learn social skills. You’ll discover new ways to interact with your child during daily routines to help him take turns during conversations and understand the meanings behind words (i.e. all the subtle messages you send with facial expressions and body language). TalkAbility translates the research on social communication development into concrete strategies that are easy for parents to understand and to build into their child’s daily routines. Since the program offers many opportunities for you to practice and discuss each strategy you learn, you’ll be comfortable and confident implementing them at home. This set of strategies is designed so that you can learn how to be a good conversation model for your child. By following your child’s lead, waiting for him to respond and cueing him to take his turn, you can help your child develop his conversation skills. The TalkAbility program was designed by expert speech-language pathologists who specialize in autism and other social communication difficulties. The program is grounded in extensive cutting-edge research that shows what works best for helping children who have social communication challenges. For example, research shows that children who have conversations with parents about what others think and feel learn to appreciate different points of view. That’s why TalkAbility teaches you strategies for extending conversations with your child so that he has as much opportunity as possible to learn. TalkAbility requires a significant time commitment from parents in order to ensure the best possible learning experience. Once you’ve completed the program, however, the strategies you’ve learned will become such a natural part of the way you interact with your child that you won’t even notice you’re using them. The commitment you put in now will pay off during every interaction you have with your child. In a small, personalized group setting, the TalkAbility Program gives you the chance to connect with other parents in similar situations. Many parents gain valuable insight and encouragement by exchanging stories with people who really understand what they’re feeling. “After my child learned to talk, I didn’t know what to do next – I just knew he needed more help. The TalkAbilityprogram gave me 1000 new ideas on how to help him progress to the next level, both in his conversation and play with other children. He still plays with the little boy he meant through the program.